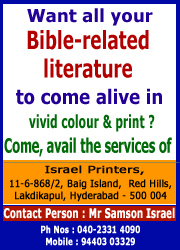 Christian Fellowship Church, S.R. 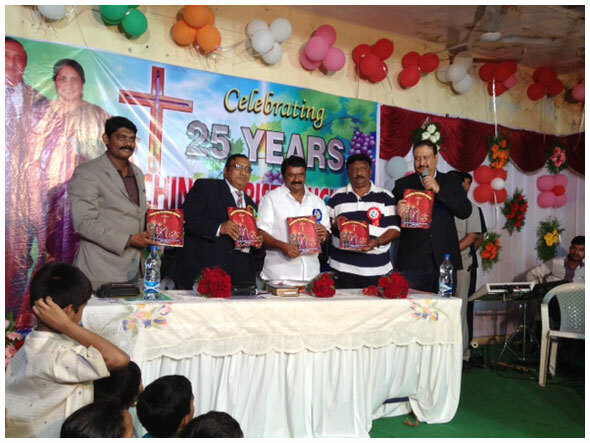 Nagar (where I serve as an Associate Pastor) completed 25 years of Ministry on Oct 11th, 2015 under the able leadership of Rev. Dr. K. Simon Peter and his diligent Wife Mrs Joy Peter. To commemorate the said Event, the Souvenir was released. Hon. State Minister for Commercial Taxes and Cinematography namely Mr. T. Srinivas Yadav obliged the request of the Church to grace this momentous occasion and released the said Souvenir.